For sale is this lovely mixed metal, large, silver and copper biscuit box by the Artificers Guild. 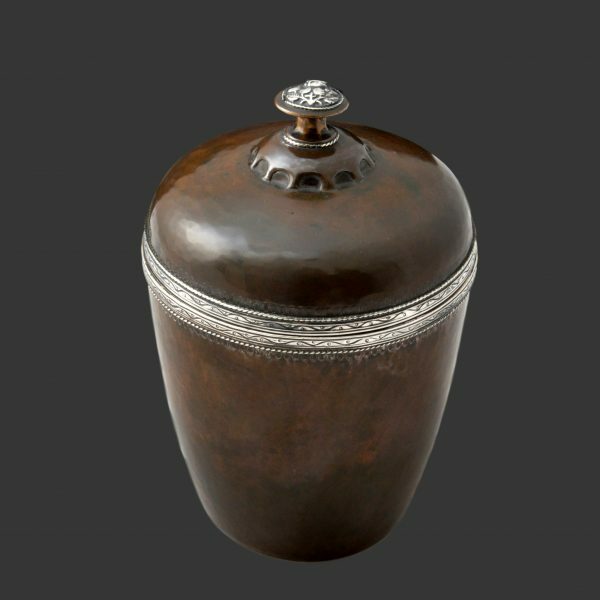 The copper body and lid are highlighted in silver with classic Artificers Guild motifs. It is lined with tin to protect the biscuits freshness. 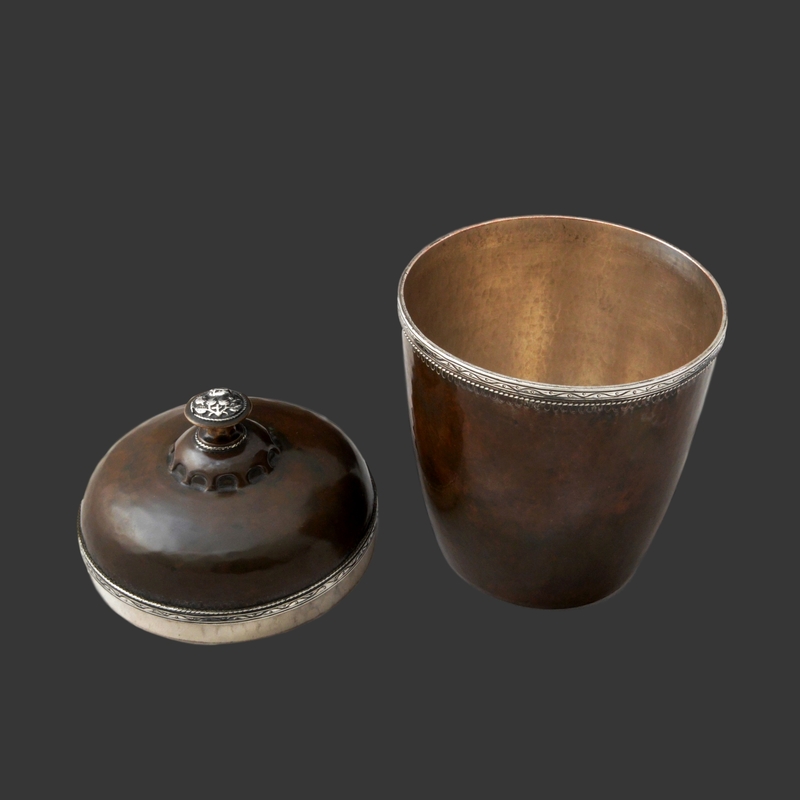 Originally catalogued by me as a tea caddy this Artificers Guild silver and copper “caddy”, is infact a biscuit box. 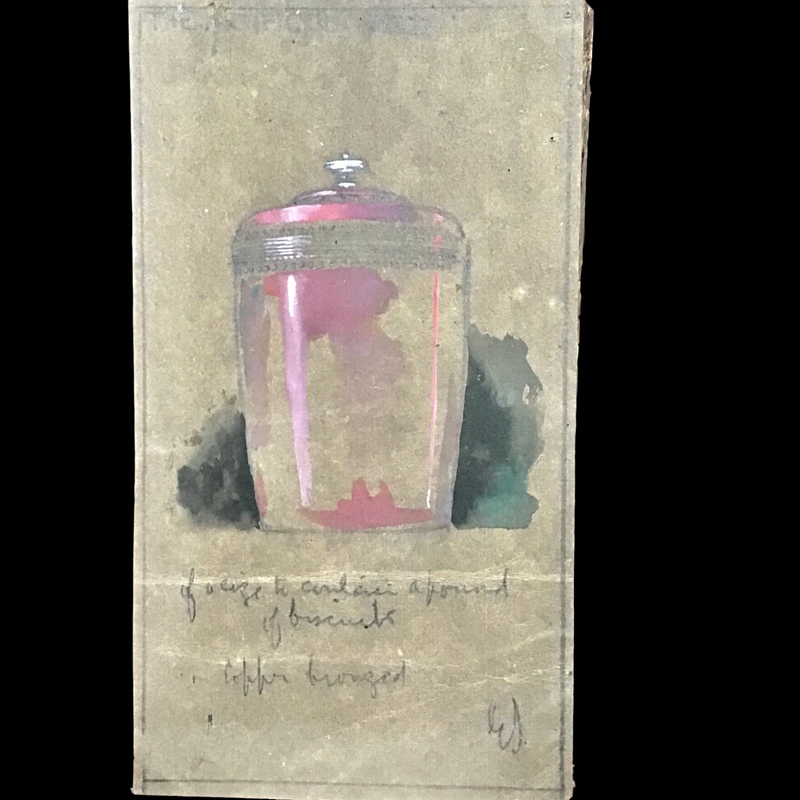 The original watercolour for this box can be found in the Artificers Guild Archive held at Goldsmiths Hall, Box G, item 2474. It is initialled ES for Edward Spencer and in what is probably his handwriting says “of a size to hold a pound of biscuits”. 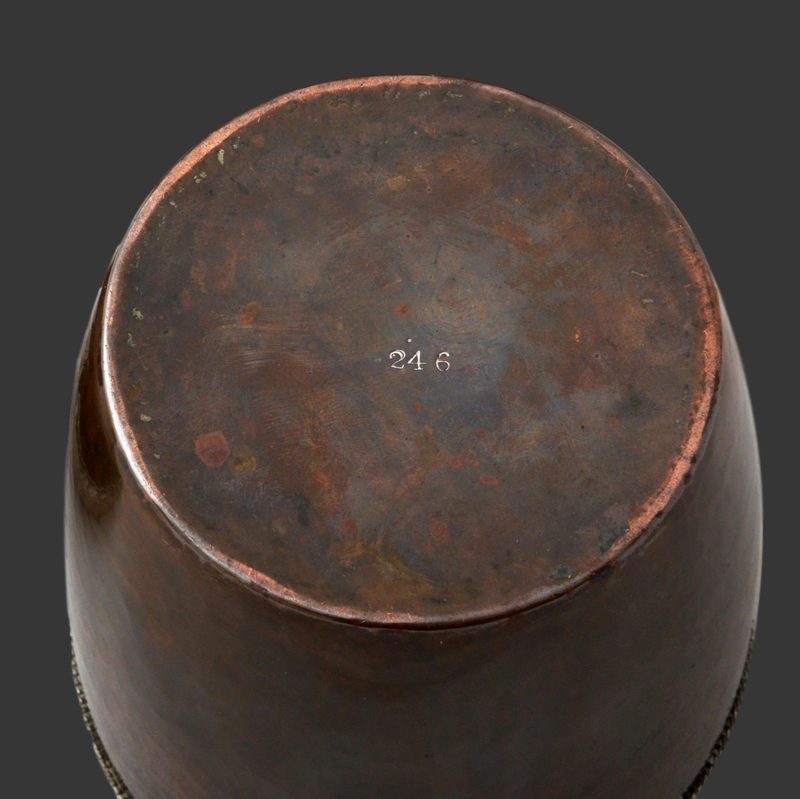 It is also inscribed “copper bronzed” in keeping with the patina still found on this piece. The watercolour is shown in the images. The box is not hallmarked, which would have been impossible under British assay rules, but is marked with model number 246. 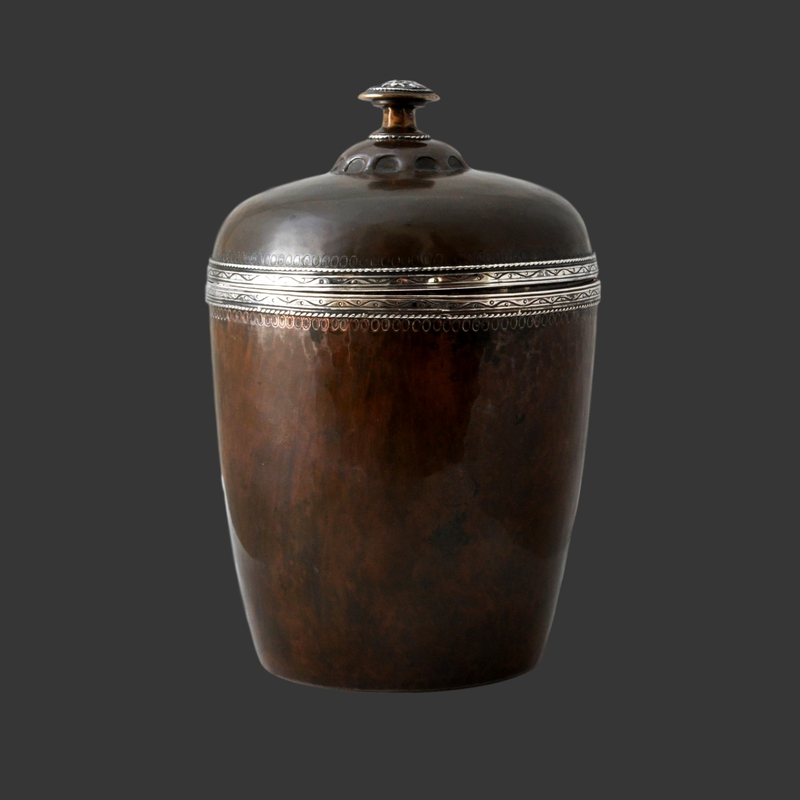 It is in very good overall condition with great patina to the copper.